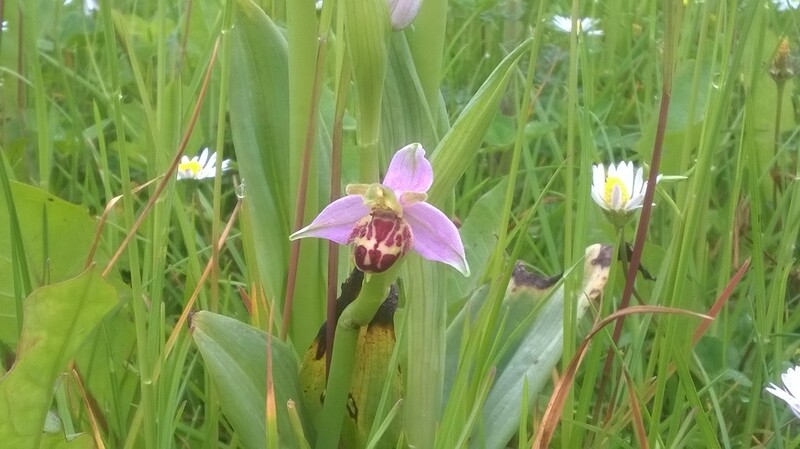 During the early months of 2016 we identified nearly 300 small plants which we thought were bee orchids over the whole of Castlemead housing estate in Pitstone. Having obtained advice from the experts at nearby College Lake (managed by Bucks & Oxon Wildlife Trust) and the biodiversity officer at the district council, we chose to protect 3 areas of grass verge/open space along Westfield Road where the fledgling plants grew in the greatest density. 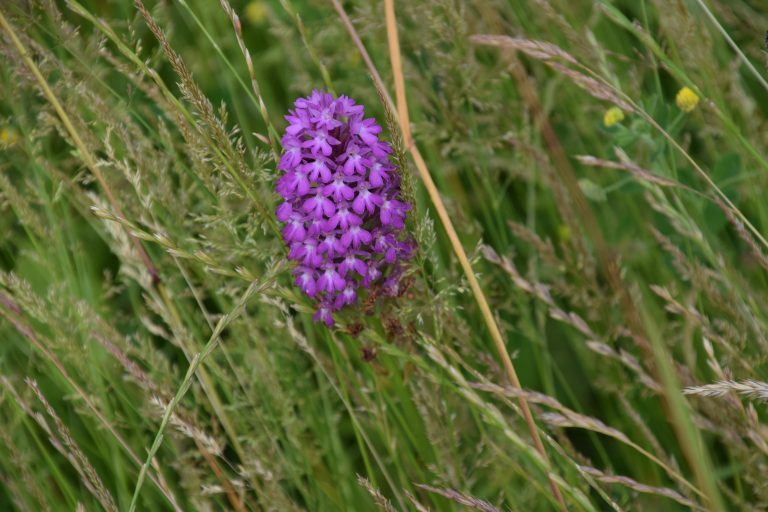 The parish council obtained the support of Taylor Wimpey (current land owners) and Aylesbury Vale District Council (who will take ownership of the land upon transfer) who agreed to suspend grass cutting in these areas to enable the orchids to flourish and we advised residents of the project. 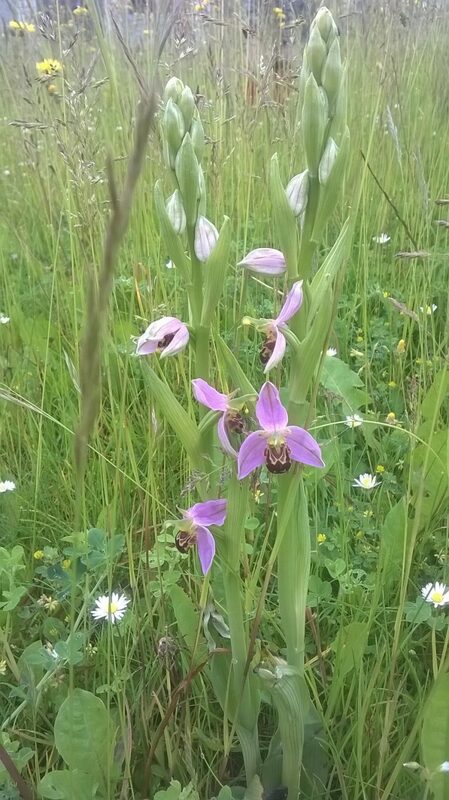 We were delighted that well over 100 bee orchids and dozens of pyramidal orchids flowered within these relatively small areas and we understand that to see orchids in such a large quantity in such a small area is quite rare. Some of the orchid spikes were over 40cm high. As well as the orchids, there was also an abundance of other beautiful wildflowers in these plots which in turn attracted butterflies and insects, including the rare small blue butterfly. The initiative was in line with the parish council’s stated policies, and the community aspirations, identified within the Pitstone Neighbourhood Plan.